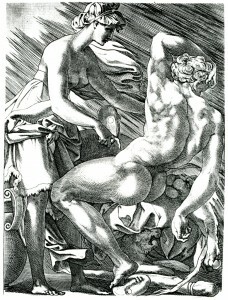 Engraving by René Boyvin?, 15 x. 11.1 S (New York). Passavant, VI, 1864, 124, no. 502, as in the manner of Enea Vico. Herbet, III, 1899, 36 (1969, 124), addition to Boyvin no. 5. Levron, 1941, 75, no. 191, as shop of Boyvin, after Rosso. COLLECTIONS: New York, 32.92.27(28). 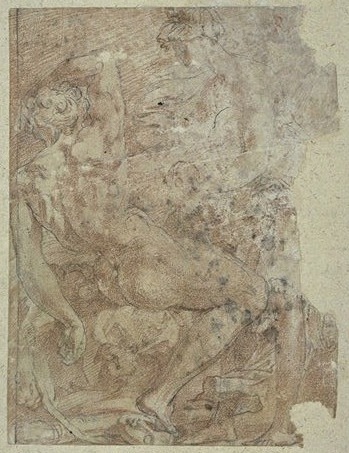 Paris, Ba 12, p.53, no. 89. Kusenberg, 1931, 162, as Boyvin after Rosso. Carroll, 1987, 10, 44, 344-346, with Fig. (Paris). Acton, in French Renaissance, 1994, 309-312, no. 75, with Fig. (Paris, Ba 12, vol. 1), as Boyvin after Rosso. Mugnaini, 1994, 119, Fig., 120, as Boyvin after Rosso. 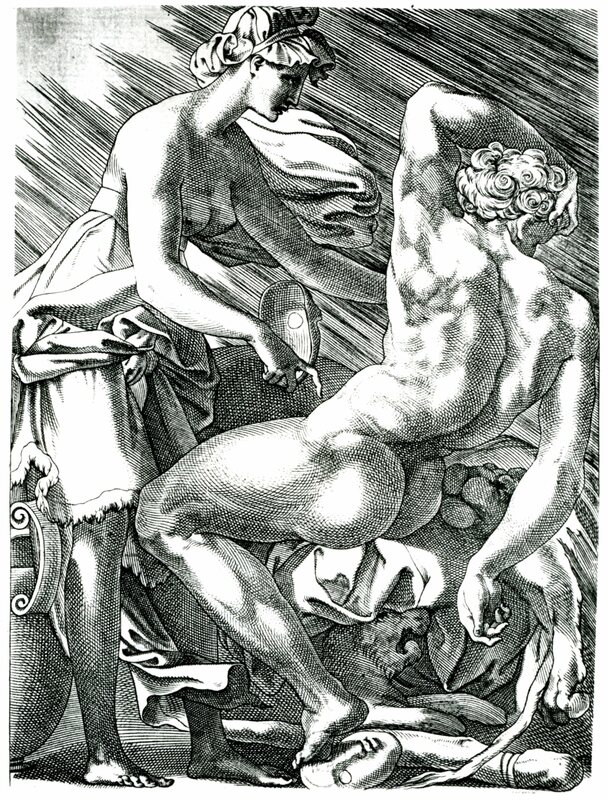 The print is specifically derived from Rosso’s drawing in the Louvre (Fig.D.78a) that shows the image reversed. As discussed in the catalogue entry for this drawing, it is possible that this composition was made for the triumphal arch that was designed by Rosso as part of the festival decorations set up at Fontainebleau for the arrival of Charles V on 24 December 1539 (L.47). 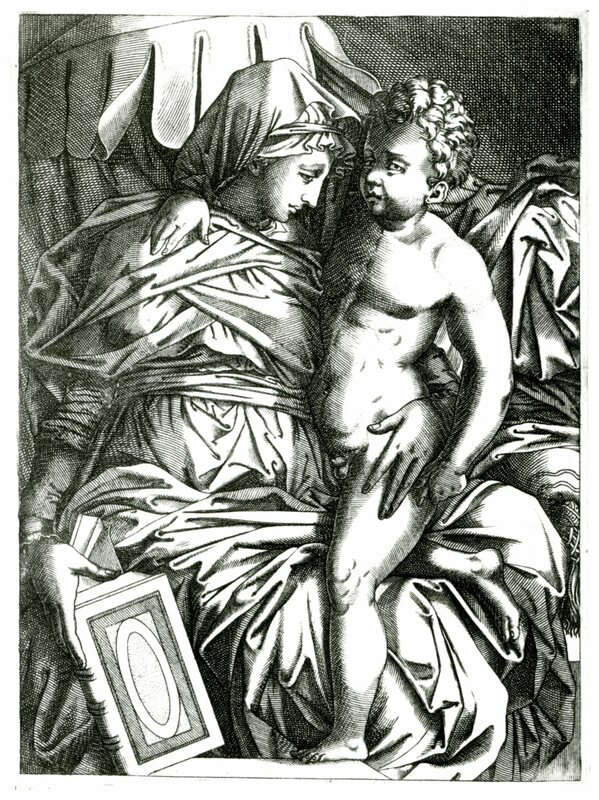 The print bears neither Boyvin’s name nor his monogram, but it is similar to his engraving style and is identical to that of the Madonna and Child with a Book (Fig.E.15), which resembles in its technique Pierre Milan’s engravings.